To create a secure connection you need to set up HTTPS. Note: This step needs to be done on every node you want to access using HTTPS. Step 1. 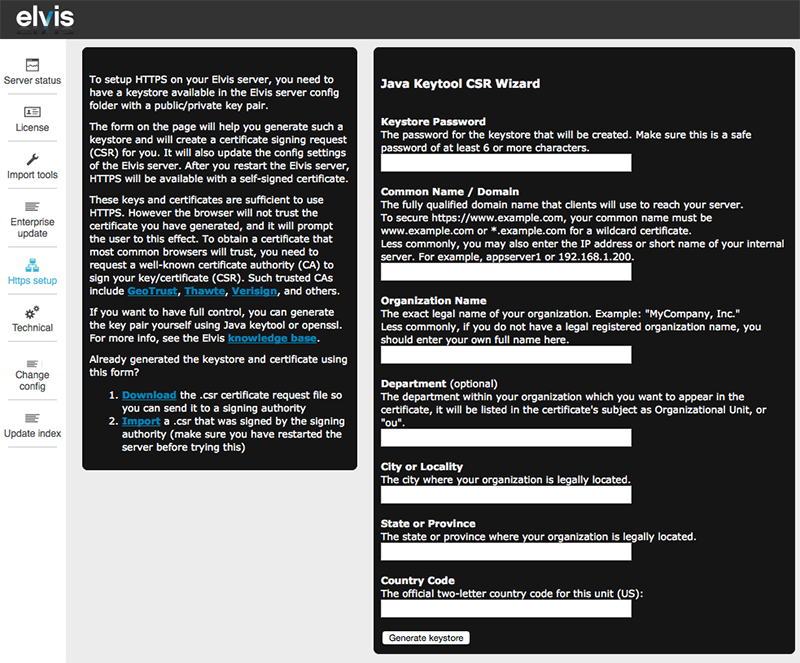 Access the HTTPS Setup Helper page in the Elvis Server Admin pages. Step 1b. Click Https setup in the menu bar. Step 2. Follow the instructions on screen. Info: This feature requires Elvis Server 5.25 or higher. 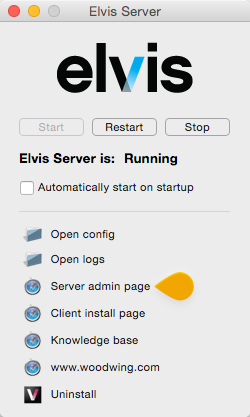 Note: For information about how to edit this file, see Changing the Elvis 5 Server configuration for a running cluster. 23 May 2017: Added section 'Redirecting HTTP to HTTPS'.